There are several reported cases of distraction pain post back surgery. In fact, disc surgery recovery is often marred by the intensity of this pain. What exactly is distraction pain? Degenerative disc disease wears out your discs, thereby resulting in their collapse. The ADR surgery will jack up the disc space to its natural height. Thus, the insertion of an ADR implant into your spine results in disc height correction. Post disk treatment, the muscles, tendons and ligaments in your back have to grow to accommodate the increased disc height. They stretch themselves to adjust to the new space. This stretching causes pain, which is known as distraction pain. Patients who have been suffering from degenerative disc disorders for several years before undergoing ADR normally have nerve pain post back surgery. This results from long-term damage to the spine. If you have been suffering from degenerative disc disorders for more than two years prior to surgery, then it is likely that there has been compression in the ligaments of the spine. Even after the ADR has been implanted and the disc height corrected, the nerve endings may still cause phantom pain. Therefore, even though the ADR surgery has gone off smoothly and disc heights have been perfectly restored, the patient may continue to experience pain. Pain levels are reduced, but not completely eliminated post back surgery. Disc surgery recovery should thus involve a complete pain management plan also. Many patients do take pain medication for a prescribed period of time to deal with distraction and nerve pain. Most of them report further decline in pain levels as the recovery period progresses. Exercise forms an important part of your disc surgery recovery plan. The exercise program will take place in three different phases. A few hours after your surgery, you will be asked to walk around. This mild exercise is part of the disc surgery recovery process. The physical therapist at the hospital will also advise you on how to move and walk so that you do not place extra stress on your muscles. You will have to refrain from stretching your neck muscles. Before leaving the hospital, you will be given a home program of exercises. The most important one is walking, and the normal goal is to ensure at least 30 minutes of brisk walking for 5 days of the week. These are aimed at toning up and relaxing the neck and back muscles. They help to improve muscle flexibility post back surgery. These are aimed at improving the strength of the muscles in the upper back and trunk. The strengthening exercises will enhance your mobility after the disc surgery. 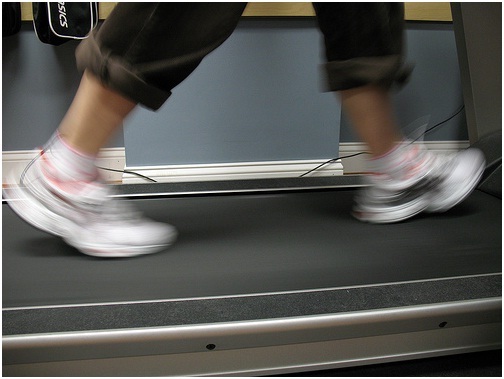 Treadmill, stationary bike, and swimming are some of the prescribed endurance exercises. They are essential to improve muscle stamina. The outpatient therapy will last for four to six weeks. Once the outpatient therapy is over, your physical therapist will give you a home exercise program. Following it strictly will facilitate easy disc replacement surgery recovery. Post disc treatments ensure that your artificial disk replacement surgery and the subsequent recovery process is a success. With proper pain, exercise and activity management, the surgery should lead to a distinct improvement in the quality of life. This entry was posted in Disc Replacement and tagged disc surgery recovery, post back surgery, post disc treatment by Zipheal Editorial Staff. Bookmark the permalink.